Da Capo Press, 9780306823916, 336pp. The only freshman congressman ever elected Speaker of the House, Henry Clay brought an arsenal of rhetorical weapons to subdue feuding members of the House of Representatives and established the Speaker as the most powerful elected official after the President. 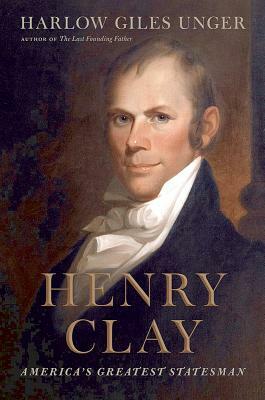 During fifty years in public service-as congressman, senator, secretary of state, and four-time presidential candidate-Clay constantly battled to save the Union, summoning uncanny negotiating skills to force bitter foes from North and South to compromise on slavery and forego secession. His famous "Missouri Compromise" and four other compromises thwarted civil war "by a power and influence," Lincoln said, "which belonged to no other statesman of his age and times." Acclaimed historian Harlow Giles Unger is a former Distinguished Visiting Fellow at George Washington's Mount Vernon. He is the author of twenty-four books, including eleven biographies of America's Founding Fathers and three histories of the early republic. He lives in New York City.